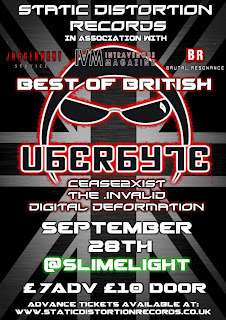 Static Distortion Records brings you 'THE BEST OF BRITISH' Industrial music, in association with Intravenous Magazine, Brutal Resonance and Juggernaut Services. 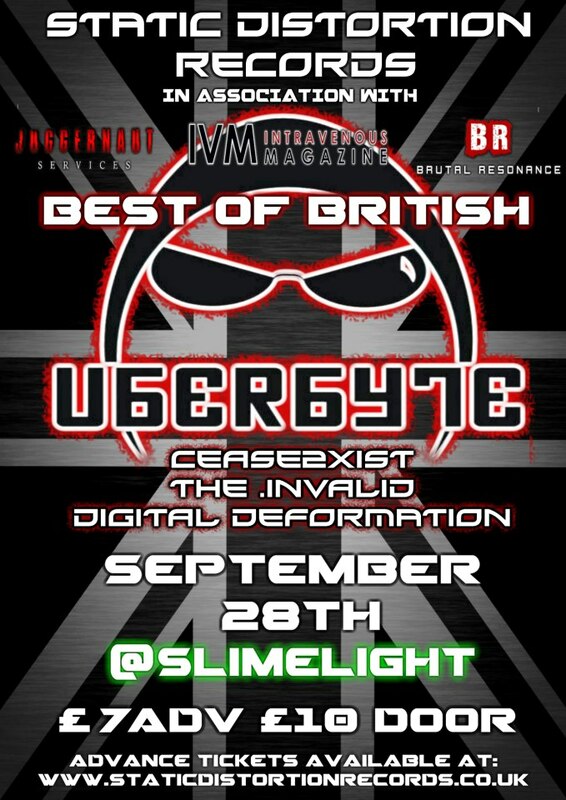 The mighty Uberbyte will descend upon London's legendary Slimelight on September 28th 2012 with the incendiary support of Cease2Xist, The .invalid & Digital Deformation for a night of hell raising live music showcasing some of the finest talents the UK has to offer. You wanted new music...You wanted a rocking live show...You wanted the best...and now you have it! Tickets are £7 in advance from www.staticdistortionrecords.co.uk and will be £10 on the door, and all tickets will get you access to the notorious Slimelight club after. Advance tickets go on sale from the 1st March and if you order advance tickets before the 1st August, you will get a 10% Discount code for use in the Static Distortion Webstore! Support your scene, and support UK Industrial!! !